So i primed the first of the Emperors Children Noise Marine Models as i'm currently waiting for the epoxy on the others to cure. This model has some of the features of the other two that i posted earlier, with the addition of a rather large and spiky boot that i'm rather fond of. Also worth noting, this is the first mini I've painted using my new wet pallet, it's great! 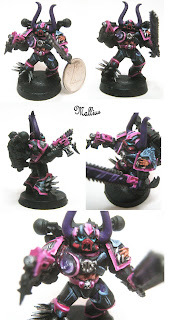 So the paint scheme is predominantly black with pink trim and purple accents, i want to keep the colour pallet relatively limited staying away from any of the warmer colours. 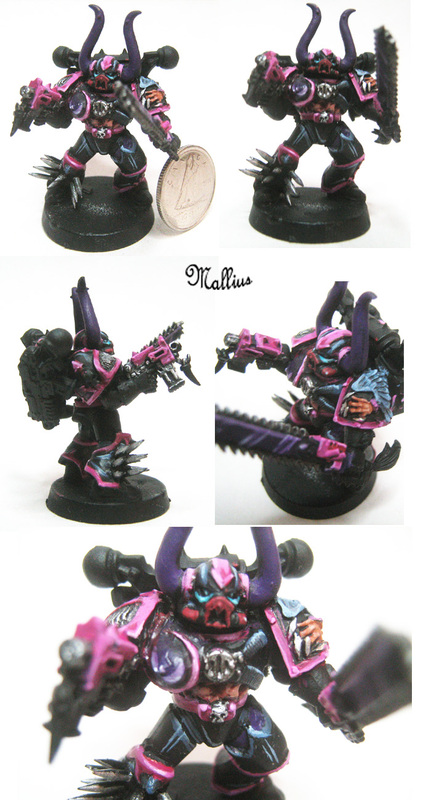 So below is a collection of Work in progress shots so you can see the general scheme.